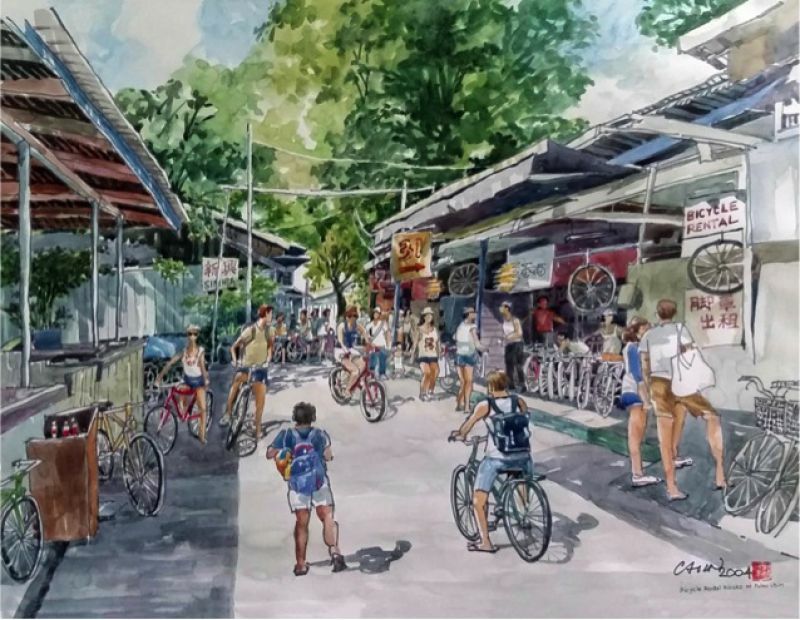 Chin Chun Wah captures a portion of the landscape of Pulau Ubin in this painting; depicting the rows of bicycle rental kiosks there catered to visitors. Pulau Ubin is an island off the eastern part Singapore and is considered one of the last few rural areas here. Largely untouched by urbanisation, this island seems to simulate life in Singapore in the 1960s, when the pace of life was a little slower and simpler. I'm interested in this Bicycle Rental Kiosks at Pulau Ubin by Chin Chun Wah. Please advise availability and price. Thank you.